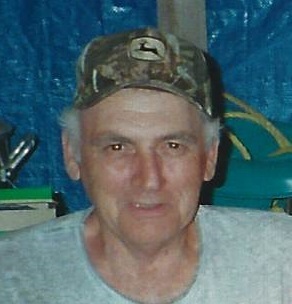 Charles William Hostler, 77 of Hagerstown MD went to be with the Lord on Thursday, September 13, 2018 at Doeys House in Hagerstown MD surrounded by his family. He was born on August 10, 1941 in Frederick MD to the late Charles Sylvester Spielman & Carrie Oneida Hostler Spielman of Keymar MD He retired from East Alcoa Aluminum in Frederick Md and later retired from US Security Associates of Hagerstown MD where he worked as a security officer. He served his country in the US Navy from 1964-1968. He was a member of the NRA, he enjoyed hunting, collecting firearms and fishing with his longtime friend Art Churchey of Williamsport MD. He is survived by his children Tina Harshman and husband Keith of Hagerstown, MD; Daughter Christy McBrearty and husband Michael of Berkeley Springs WV; Son Charles William Hostler Jr (Chaz) of Baltimore MD; Daughter Tambra Alger and husband Jason of Hagerstown MD; 3 step children, Pamela Stansbury and husband Gerald of Frederick MD; Billy Bowers and wife Melissa of Smithsburg, MD and Wayne Guessford and wife Amy of Hagerstown, MD; One brother Richard Spielman of Keymar, MD; one sister Ruth Conway and her friend Donald Lescalleet of Keymar, MD; his former wife and friend Isabelle Hostler of Falling Waters, WV; one niece Marsha McDaniel, 18 Grandchildren, Ashley, Amanda, Joel, Shailee, Kaitlyn, Camryn, Billy, Hanna, Vinny, Angaleigh, Erin, Steven, Mercedes,+ Samuel, Abby, Amanda, Hannah, Levi and 7 great grandchildren. He was proceeded in death by his wife of 18 years Paulette Marie Hostler, Daughter Sherry Ann Hostler, 3 Brothers Butch Martin, Ronald Spielman, Kenny Spielman, and his parents Charles Sylvester Spielman and Carrie Oneida Hostler Spielman. A memorial service will be held at New Life Christian Ministries 12031 Hopewell Rd, Hagerstown, MD 21740 On Sunday, September 16, 2018 at 5:00 pm with Pastor Ken Harris officiating. Burial will be private, he will be laid to rest with his daughter Sherry Hostler at Rose Hill Cemetery in Hagerstown, MD. The family would like to thank the Doey House in Hagerstown, MD for treating our father with compassion through this difficult time. Arrangements were made by J.L. Davis Funeral Home, Smithsburg, MD, and online condolences may be offered at, www.jldavisfh.com.